Michael is a calm, focused and competent Associate with a great flair for litigation. Whether alone or as part of a team, he has successfully represented various clients in a wide range of commercial, criminal and property disputes. He also advises on the drafting of complex conveyance documents. 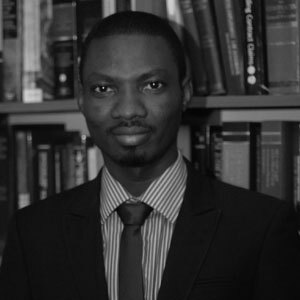 Besides his passion for litigation, he is nurturing a considerable interest in emerging areas of law, such as technology law and medical law. 2015: Admitted as a Barrister and Solicitor, Supreme Court of Nigeria. 2015: B.L., Nigerian Law School.